Often derided as being ineffective at stopping an attacker, the 25 ACP cartridge has been in use for self-defense since 1905. It is possible that the source of this criticism comes from the fact that the 25 ACP is designed to be used in small handguns so it is similarly small in terms of propellant capacity and physical dimension. Criticizing the 25 ACP for offering limited stopping power is like drawing conclusions about a lightweight boxers athleticism after being knocked out by a heavy weight. I have pushed the cartridge to the point of case rupture and the best it will ever be equal to is a 32 ACP. If other ‘better’ mousegun cartridges are available, why did I spend so much time testing 25 ACP? Because the cartridge is depended upon by people who perhaps do not have any other guns to choose from. 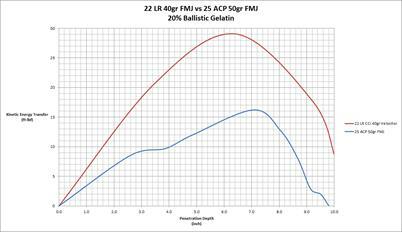 As such, I take great pride in presenting the following terminal ballistics data and suggestions for improvement to the 25 ACP. 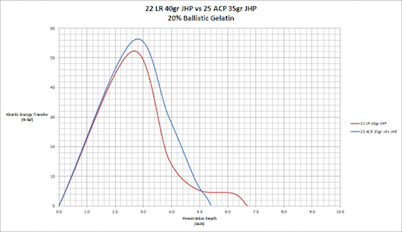 While the core of Brass Fetcher ballistic testing is to offer quantification and not the guesswork and hearsay that you normally get on the internet, I would like to take this moment to share a story of the ‘real world’ effectiveness of the 25 ACP. In the hometown of my family, in Catawba county, North Carolina, there was once a convenience store that would repeatedly get robbed. From the sound of it, the story takes place in the 1960s. Perhaps the secluded location of the store made it particularly appealing to thieves. What made it unappealing to thieves was the woman who co-owned/worked there, who will remain nameless. The first robbery attempt, the robber pulled a knife. The store keeper also pulled a knife—but had no mental blocks to using it so the robber got stabbed and ran away. That was when the 25 ACP handgun made it behind the counter. A few months later the store was robbed again. “Never bring a knife to a gunfight and be polite to everyone.” The robber pulled a knife and was promptly shot by the 25 ACP. As far as I know, the robber survived multiple shots to the chest. But. The will to fight overcame the physical limitations of the weapon she was using. The person is the weapon, not the gun. Let’s take a look now at where the 25 ACP stands in comparison to the 22 LR. The tested 25 ACP had a kinetic energy at the muzzle of 63 ft-lbf while the 22 LR had 79 ft-lbf. So the 22 LR started out with more kinetic energy. Practically speaking, the 25 ACP kinetic energy maximum is 100 ft-lbf at the muzzle. Ammunition for this caliber is likely loaded to moderate pressures at the factory due to the uncertainty of the mechanical soundness of the different makes of handguns that are available commercially. We see the depth at which the bullets overturned was similar, which indicates that the weight distribution and gyroscopic stability of both bullets were approximately the same. With more powerful ammunition, it is reasonable to place the 25 ACP in the same ballpark as 22 LR. As it stands, commercial FMJ loadings make 25 ACP slightly less effective than a 22 LR handgun.